DALHART, TX (KFDA) - Dallam and Hartley County 4-H is moving into an old space and creating a new activity center. The youth development organization has grown to nearly 300 members in six different clubs across the area. The new facility will be used by three of the clubs that meet in Dalhart. Dallam County donated part of the old Frank Phillips College Dalhart building for 4-H members to use for various meetings and projects. 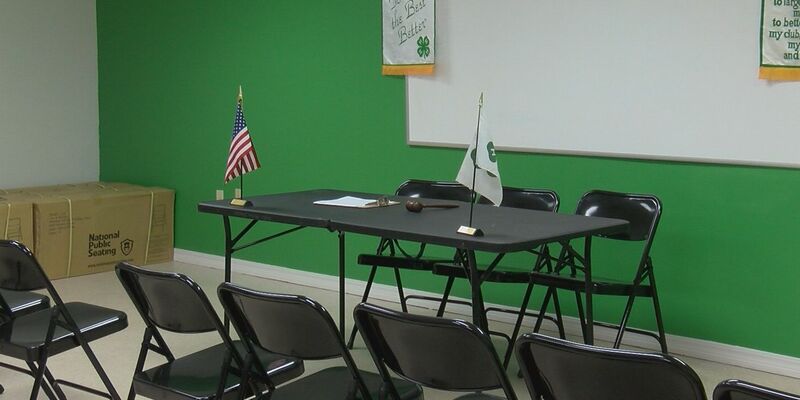 Right now, the 4-H meeting room is complete, but the rest of the newly acquired space still needs work with the help of community donations. “We’re also allowing different businesses and donors to sponsor a room so if there’s anyone that’s interested in maybe sponsoring like our multi-purpose room, or we have a STEM room or the clothing and textiles room, that’s another opportunity for donations,” said Wright. They’re expected to complete renovations and start using the new activity center in January. Wright said she believes moving into the new space will serve Dallam and Hartley County 4-H members for years to come. For a full list of donation items still needed, visit the Dallam and Hartley County 4-H Facebook page. You can also call the Texas A&M Agri-Life extension office at 806-244-4434 and ask for Bailee Wright.